Obituary – Combes, William Graham « Perry High School Alumni Association, Inc.
Glee Club; Orchestra; Honorary Society; Hi-Y, Debate. Bill Combes, Salutatorian, who made an average of 93 5/34 for his four years’ work in high school. He was just 6/34 below his pal’s average. Beside being active in school work Combes took high honors for the best English student for three years work and was awarded the $5 prize offered by the Tuesday Afternoon club. He also edited the high school paper during the past year. William Graham Combes, 97, of Bella Vista, passed away May 11, 2008 in Bella Vista. 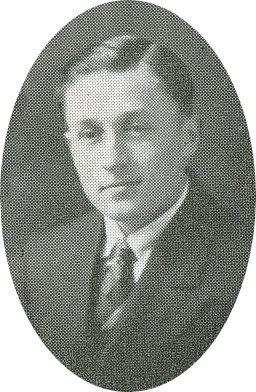 Mr. Combes was born January 2, 1911 in Henryetta, Oklahoma the son of Will Alfred Combes and Maude Ethel Graham Combes. Mr. Combes served in the United States Army Air Corp.